Posted on 5, April 2016 by EuropaWire PR Editors | This entry was posted in Construction, Education, United Kingdom and tagged Newcastle University, Professor John Pendlebury. Bookmark the permalink. NEWCASTLE, 05-Apr-2016 — /EuropaWire/ — Work has begun on a £2.4m extension to Newcastle University. The Building Sciences lab, which will provide enhanced workshop and design space for architecture students, is due to open in March 2017. The extension, on the main University campus, will be spread over three floors and 18,000 square feet. Professor John Pendlebury, Head of the School of Architecture, Planning and Landscape said: “Newcastle University prides itself on the employability of its graduates. “It is crucial that our students are provided with fit for purpose learning facilities. 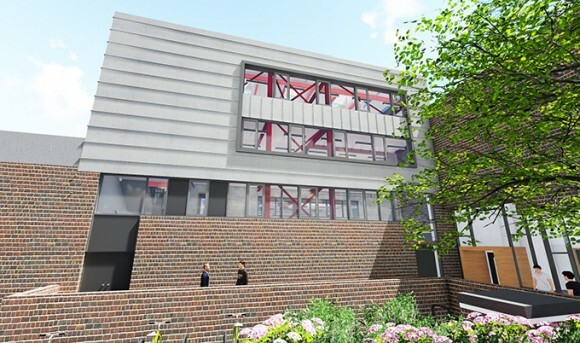 This new building will allow students on design-led programmes to hone their practical skills and will be a wonderful addition to our facilities. The new lab is based on a concept design developed by Design Office – a design consultancy based within the School of Architecture, Planning and Landscape – and developed by Durham based PH Partnership, whose Director Fausto Pereira is a Newcastle University architecture graduate. The work is being carried out by Gateshead based Robertson Construction England. There will be five Robertson Construction staff working and managing the project on site as well 20 sub-contractors, mostly from local SMEs. Andy McLeod, Managing Director of Robertson Construction England said: “Our team is already on site demolishing the existing recycling area and preparing the site for the installation of the piled foundations, which will support the steel frame structure. These works will run from now until June, with the steel frame being erected at the end of June 2016. Press release adapted with thanks from Robertson Construction.